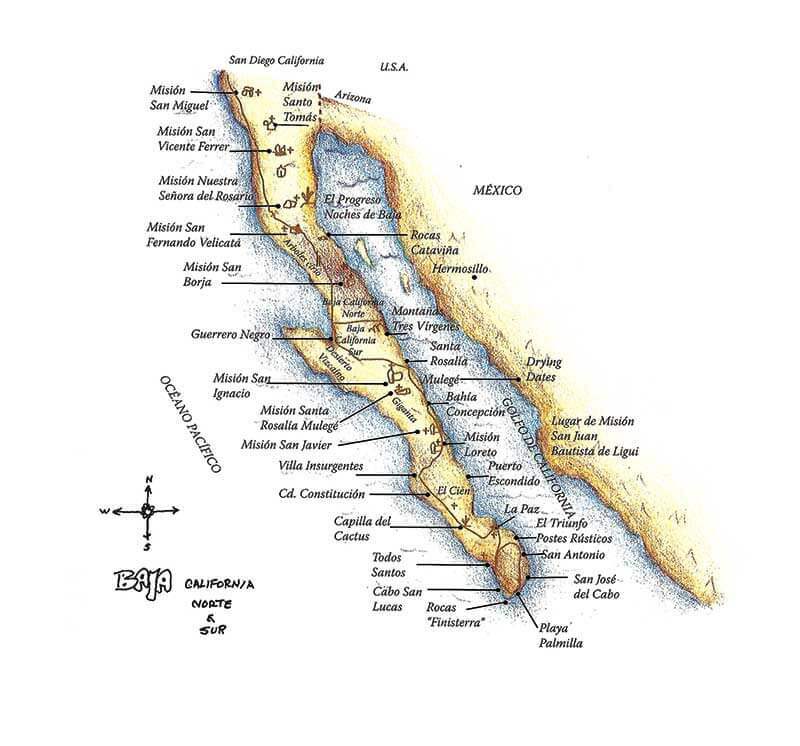 Local Indians referred to this spot where the Mission stands, as Viñadaco. 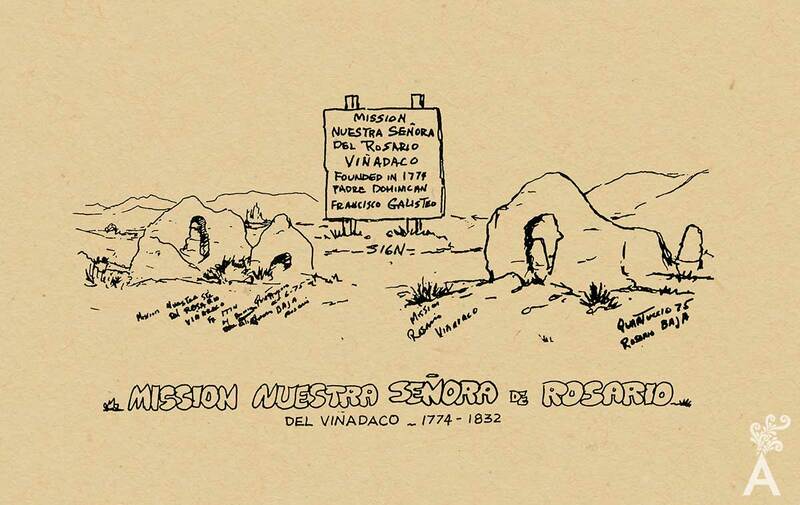 When Father Vicente Mora and Francisco Galisteo visited this area, they established Mission Nuestra Señora del Rosario in July 1774. It was later abandoned in 1832. Only the ruins remain, weathering in the sun and fog. Another ruin I saw was that of San Vicente Ferrer. 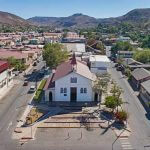 Located in a pleasant valley rimmed by bare mountains, this mission was considered the largest of all the missions in Baja. Today nothing is visible except the foundation and a few reddish adobe walls. I had to walk a long distance from the highway to view these ruins. On my way I passed an old cemetery on a hill covered with patches of cactus. Some graves were nameless and marked only with crosses. Dirt roads criss-crossed the many surrounding farms and fields. 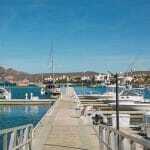 The town of San Vicente is located only a short distance from here.